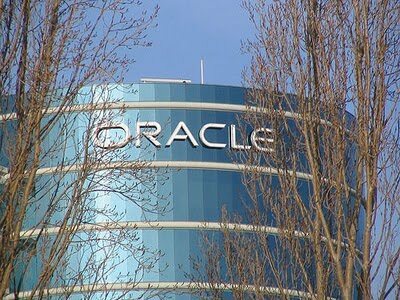 Oracle Corp. (NASDAQ: ORCL), the world's largest enterprise software company, is scheduled to release fiscal second quarter earnings after the closing bell on Thursday, December 16, 2010. Analysts, on average, expect the company to report earnings of 46 cents per share on revenue of $8.34 billion. In the year ago quarter, the company reported earnings of 39 cents per share on revenue of $5.87 billion. Oracle Corporation engages in the development, manufacture, distribution, servicing, and marketing of database, middleware, and application software worldwide. Oracle is organized into two businesses: software and services. In the preceding fiscal first quarter, the Redwood Shores, California-based company's net income was $1.35 billion, or 27 cents a share, compared to $1.12 billion, or 22 cents a share, in the year-earlier quarter. On an adjusted basis, the company earned 42 cents a share in the latest quarter. Revenue jumped 48% to $7.5 billion from $5.05 billion in the same quarter last year. Analysts, on average, expected the company to report earnings of 37 cents a share on revenue of $7.27 billion. Oracle is expected to benefit from its growing software business (62.7% of total revenue), which was robust in the first quarter across all regions and soared 14.6% year over year to $4.76 billion. Included in the Software segment, new software license revenues (16.9% of total revenue and 27.0% of total software revenue) shot up 25.1% to $1.29 billion. At its last earnings call in September, the company said that it expects second quarter non-GAAP EPS to be 45 cents to 47 cents in constant currency, and 44 cents to 46 cents, up from 39 cents last year, assuming current exchange rates. GAAP EPS for the second quarter is expected to be 28 cents to 30 cents assuming constant currency, 27 cents to 29 cents at current exchange rates. Total revenue growth on a non-GAAP basis is expected to range from 43% to 47% in constant currency and 39% to 43% at current exchange rates. On a GAAP basis, Oracle anticipates total revenue growth between 42% to 47% in constant currency, and 38% to 43% at current exchange rates. New software license revenue growth is expected to range from 9% to 19% in constant currency. Hardware product revenues are expected to be between $1 billion and $1.1 billion in constant currency. Oracle expects 3% negative currency effect on license growth rates and 4% negative effect on total revenue growth. 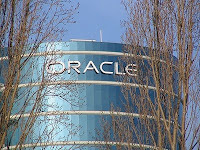 Oracle has also benefited immensely from acquisition of Sun Microsystems. The acquisition is expected to be accretive to its earnings by at least 15 cents per share on a non-GAAP basis in 2011. Oracle expects Sun to exceed the company’s targets for fiscal 2011 and 2012. The acquired business will contribute over $1.5 billion to Oracle’s non-GAAP operating profit in 2011, increasing to over $2 billion in 2012. Revenues from Sun Microsystems are expected to be $9.6 billion in 2011. The company is attempting to reinvest itself as a "systems" company, one that has a complete "stack" of products, both hardware and software. Oracle has purchased a slew of companies in the past five years to reposition itself in the technology industry. Early in October, the software giant agreed to acquire Passlogix, a provider of enterprise single sign-on solutions. Early in November, Oracle agreed to buy Art Technology Group for $1 billion to boost ecommerce portfolio. The company noted that ATG's eCommerce software platform is highly complementary to its own CRM, ERP, Retail, and Supply Chain applications, in addition to its portfolio of middleware and business intelligence technologies. Last month, a federal jury in California ordered SAP AG (NYSE: SAP) to pay $1.3 billion, one of the highest amounts ever paid in software piracy, to Oracle as a compensation for copyright infringement. In addition, Oracle wants SAP to pay about $211.6 million in prejudgment interest. Oracle sued SAP in 2007 claiming its U.S.-based TomorrowNow unit, which is now defunct, made hundreds of thousands of illegal downloads and several thousand copies of Oracle's software to avoid paying licensing fees and steal customers. In terms of stock performance, Oracle shares are up nearly 22% since the beginning of the year.